Inflammation is related to our immune system and is a necessary part of our body’s healing process. Inflammation works as a healing mechanism. For example, your knee sustains a blow and tissues need care and protection so it begins to swell. Another sign of healing by inflammation is when you have a cut/wound, it swells in the begging then start to scab and discharge pus. Soon after new tissue starts to form and before you know it the wound is healed. However, inflammation that persists(overact) or fails to heal or/discharge harmful pathogens, can develop into acute to chronic inflammation. This can lead to serious illnesses such as cancers, arthritis, asthma, bronchitis, inflammatory bowel disease; to name a few. Thus, when we talk about anti-inflammatory remedies we mean foods and exercise that can help to maintain a healthy immune system and prevent or cure diseases caused from an overactive inflammation function. Here is a recipe for a dish that can help in promoting a healthy immune system that properly regulates the inflammation function. Hope you enjoy it and as always, eat well and be well! 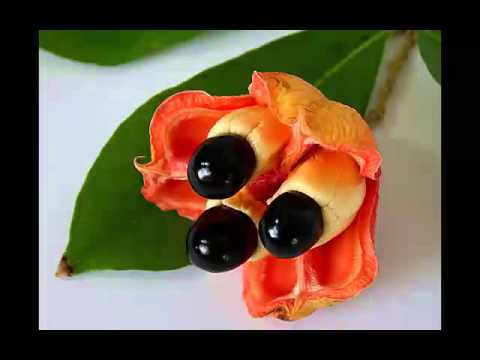 Ackee: is good for your immune system, your digestive, blood pressure and circulation. This fruit is native of Jamaica. You can find it packaged in can in North America and the UK. Most Caribbean and large grocery store chains will carry canned ackee. boil saltfish to remove excess salt. Be sure to change the water at least 3 times while boiling saltfish to ensure the excess salt is removed. Skip this step is you are using fresh Cod. Do a taste test of the codfish to determine desired salt content of fish. Drain water and let fish cool (you can also run some cold water over fish to cool down faster. If the fish still has bone in, remove the bones as best as possible. Then tear the fish apart into small bite size pieces squeeze lime juice onto fish with 1 sprig of fresh thyme, 1 tsp of ground black pepper and ½ tsp of paprika rub all into fish and set aside. If you are using fresh cod fillet -cut into bite size pieces, add 2 tsp of sea salt, lime juice, ½ tsp of paprika, 1 tsp of ground black pepper, and 1 sprig of fresh thyme and rub into fish. Let soak until you are ready to incorporate it with the ackee and seasoning. Heat 2 tbsp of avocado oil in a medium sized sauce pan or dutch pot on high heat. Once heated add onion, garlic and green onions. Saute for 5 minutes or until onions are soft. Add tomatoes to pan and continue for 2 minutes on medium-low heat. Then add anise, curry powder, cumin powder, turmeric powder, rest of paprika, rest of thyme, marjoram,and mix all together. At this time you would need to add another 2 tbsp of avocado oil and and scotch bonnet pepper. Let the fish simmer in the sauteed herbs and spices for about 10-15 minutes. Add ackee and mix in thoroughly. Cover the pot and let simmer on low heat for about 10 minutes until all ingredients are marinated together and you have a stew like consistency. Turn off heat and let stand on warm stove until ready to eat. In a large mixing bowl put the flour, baking powder and salt. Mix them together with a fork. Then add butter. Use your hands to knead in the butter into the flour mix. This will create a crumbs like consistency. Slowly add in the coconut milk and knead together. Add water bit by bit knead until the dough is not too tight or hard but not too soft. Cover dough with damp cloth and let sit for about 20 minutes after which you flour your hands and then pinch off about 2 inch dough and roll into ball. Depending on how big you like your dumpling this recipe should make about 12 dumplings. In large frying pan add avocado oil (or grape seed or coconut oil) bout ¼ cup. Once heated start adding dumpling balls. Pay close attention to the heat and your dumplings turning them so that all sides are golden brown and is slightly flaky. Serve warm with ackee and codfish. Anise: is scientifically proven to help with reducing respiratory illness such as asthma, help with digestion, regulates blood pressure, improves eyesight, improves skin, helps with depression and is anti-inflammatory! Cod Fish: has omega-3 fatty acids which can help to reduce inflammation and lower blood pressure is also linked to improving memory and reduce the risk of Alzheimers. Cumin: black seed oil is also cumin oil. Boost the immune system, reduce inflammation, and fight infections it is also used to remedy allergies, asthma, diabetes, headaches, high blood pressure, digestive disorders, and rheumatoid arthritis. Curry: boost immune system, reduces arthritis pain which is caused by inflammation, lowers bad cholesterol and help with digestion. Coconut milk: high in potassium which is good for the heart, improves blood pressure, has calcium, magnesium iron, selenium, sodium and phosphorus which helps the body to reduce inflammation. Marjoram: helps with sleep, boosts immune system, helps to maintain healthy respiratory function, reduces pain(anti-inflammatory), helps with digestion and heart. Scotch Bonnet Pepper: boost body immunity (has vitamin C), reduces inflammation and sinusitis(has capsaicin an antioxidant), has vitamin A for healthy eyes and helps to boost metabolism. Thyme: has antibacterial, anti fungal properties which helps to reduce inflammation to help with arthritis, respiratory infections.